There are two types of abscesses: periapical (tooth abscess) and periodontal (gum abscess). First, your dentist in Fresno CA will do a physical examination of your tooth. 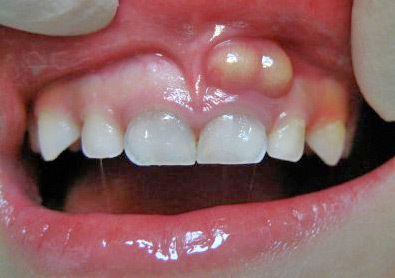 Abscessed teeth are usually accompanied by red, swollen gums. He or she will also probe the offending tooth gently. You will feel slight discomfort but the good news is that your pain is almost over. Your dentist in Fresno main goal in treating your tooth abscess is to get rid of the infection and prevent the tooth from needing to be extracted. The dentist in Fresno CA will likely prescribe a round of antibiotics to fight the infection. To combat the pain, your dentist may recommend ibuprofen. For particularly acute pain, your dentist may also write a prescription for a stronger painkiller. Root canal: Your dentist will attempt to save your tooth with a root canal treatment. During this treatment, the root canal of your tooth is cleaned and disinfected. Your dentist in Fresno will then seal the tooth’s pulp and root canals, and “cap” the tooth with a crown. After tooth trauma, I always recommend my 3-3-3 method even if you don’t have any pain! The 3-3-3 method reduces inflammation inside the tooth, which is what is responsible for killing the pulp. The pain can often come later, after it’s too late. By doing the 3-3-3 preventatively after trauma to the tooth, you may be able to prevent damaging the pulp, and thus, causing a tooth abscess. And always see your dentist immediately after tooth trauma! The sooner, the better, to prevent irreversible damage to the tooth.